"You can do anything you put your mind to." I wish I could remember who it was that put that phrase into my head when I was very young. All I know is that it has stuck with me forever. 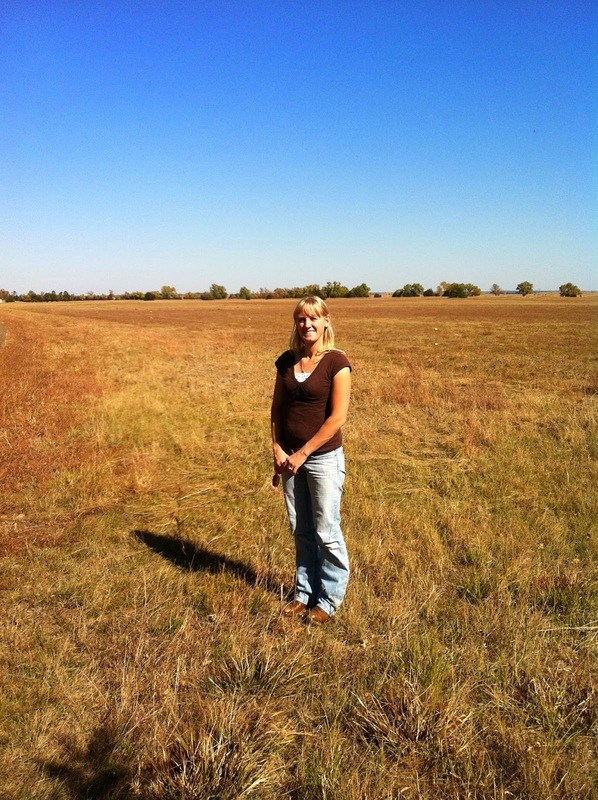 This is a picture of me the day my husband Daniel and I signed the papers and went from ranch hands to ranch owners. We are not rich, we did not inherit any money, or win the lottery. We wanted something so bad we were willing to do ANYTHING to get it. That anything included quitting our current ranch job, moving into my parents' basement, and spending time apart and in big cities while my husband pounded the pavement going door to door selling home security systems. It was a gamble at best, but he proved successful. After three years of hard work and craziness, looking for the right ranch and saving our money, we bought our current place. Did I mention we also have four young kids we managed to drag around the whole time? My husband continued with the home security systems for two more years. He would go to a big city for weeks on end, then come home for a month and leave again, knowing the kids and I were holding down the fort. Times got pretty rough there for a while. Ranching is a lot of work, but being a door to door salesman isn't all peaches and cream either. Lucky for us we literally fell into a different sales position with a wonderful new company that will not only sustain our dream, but make it grow beyond our wildest dreams. Daniel now sells cancer, heart attack and stroke insurance. He doesn't have to be gone for weeks on end and the kids know who he is. This is not a forever type job. Soon he won't have to leave at all. 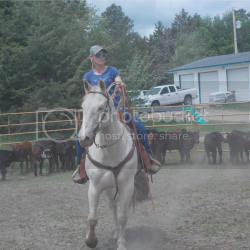 I run the ranch 64% of the time. I take care of our kids 100% of the time, needless to say I am busy and sometimes crazy! I know there are those who don't know our story and wonder why it seems I do everything around here. To those who don't know, and those that do: I am living my dream. I grew up on a potato and barley farm in Idaho. I always wanted to live on a ranch or farm and raise my kids the way I was raised. Some think Daniel and I are unfairly yoked, that he is taking the brunt of the financial part of the ranch while I take the physical labor. To them I say I am so blessed with a husband that is willing to let ME live OUR dream. He has to leave the ranch, while I get to stay. All the time apart, the sacrifices we both made, and I am the benefactor. His sacrifice is more than mine. He would trade places with me in a heart beat, but well, I'm not a salesman! :) When the days are long, and the nights even longer, I remember the day the thought crossed my mind that we could stop working for other people, take control of our lives and own our own place. I will forever be grateful for the man who at first just humored me, and then believed me and caught hold of the phrase : you can do anything you put your mind to. 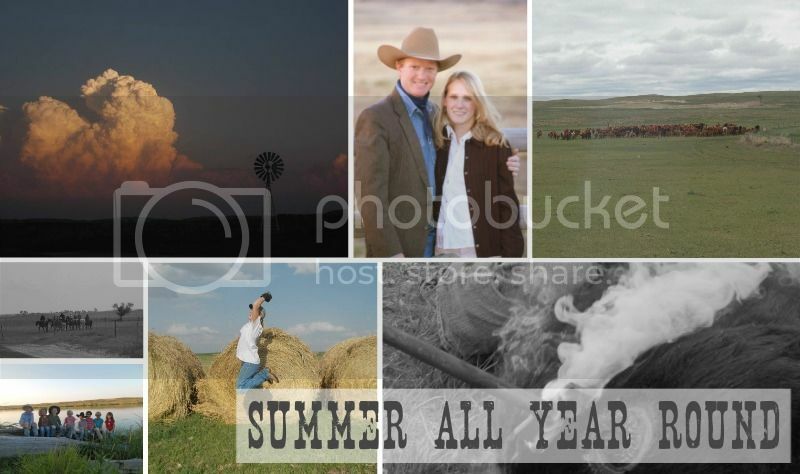 The following blog is a log of my experiences running a ranch and raising kids. This will be real life people. I can't promise perfect pictures or perfect days. There will be weeds in my garden, kids with dirty faces, an unkept home, and everything in between. The good, the bad, and the worse- it will all be here. You will see it, and you will know if Summer can do that, then I can do this. If you get anything from this blog I want it to be confidence in yourself to try things you think you can't do. I can't even number the things I thought I couldn't do, that I've done. I also can't tell you how empowering that is. I've literally been crying my eyes out one second and the next jumping for joy and laughing out loud that I actually DID THAT! So. Can. You. Write it down, put it in your car, or on your mirror or refrigerator, I don't care where it is, but read it every day, "You can do anything you put your mind to." Then go do something.